It was last Friday morning. The house was dark and quiet. When I say morning, I mean too early for most people to even think about getting up. It was also Jeffrey's day off, which meant he was excited to sleep in. The house was quiet, everyone was sleeping. And then suddenly, no one was sleeping. A shrill piercing and terrified scream followed by sobs abruptly shoved its way into our dreams and brutally awakened us all. Because no one wants to wake up to their children screaming and sobbing. Jeffrey, the one who is not a morning person at all, the one who I have frequently worried would die if the house caught on fire because he is such a sound sleeper and so hard to awaken in the night, sprang into action. He jumped out of bed, ran into the kids bedroom, and brought a tearful Faye back into our room all while I was trying to shake the sleepy induced haze out of my eyes. We asked her what was wrong, and she told us Keith got into her bed. Jeffrey said that Keith was in his own bed when he went in and got her, but Faye insisted Keith had climbed into her bed and that he had awakened her and scared her. Meanwhile, Keith smirked from the doorway while we tried to comfort Faye. Eventually (and by eventually I mean a few days later) we learned that Keith had climbed up to her bed with that conniving partner in crime Mr. Bear who had then jumped on Faye's face (the bear, not Keith) which startled her awake and inspired the scream and sobs. Because no one wants to wake up to a stinky bear dancing on their face. And believe me, he is stinky. He still goes everywhere with Keith, which is not always sanitary. He gets washed about once a week (if I can sneak him away from the boy) but even then, it isn't enough. Poor Faye had a 2 week with no washing stinky bear on her head. No wonder she screamed! I must admit, though, we had a hard time not laughing out loud right then and there when we learned the reason for our rude awakening that Friday morning. With huge smiles, we told Keith to never do that again, as it isn't very nice to wake someone up like that. I think we were sending a double message there. Luckily, they are such good friends, he doesn't like to scare her... most of the time. He is now reminding me of someone else all the time now. 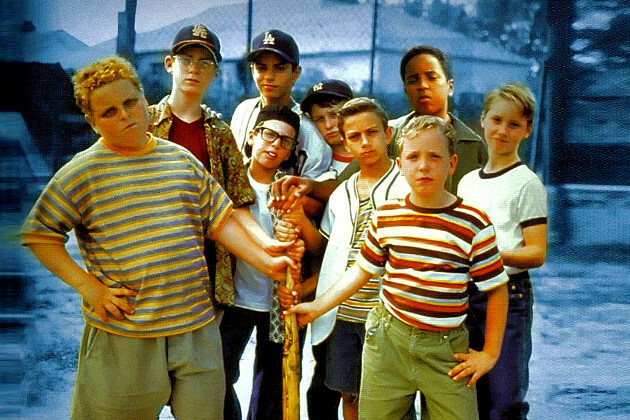 Let's be honest, one of the greatest baseball movies ever made is Sandlot. It can't be argued, don't even try. Especially if you are from UT, it is doubly the best baseball move ever. When I lived in Colorado and got homesick, I would watch that movie because it was full of familiar places. Streets I had often walked down. The pool I had gone swimming in. 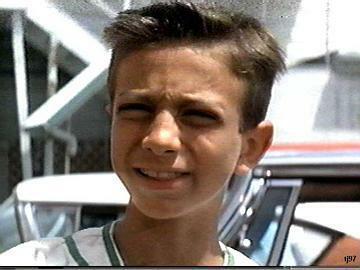 The sandlot is in my brother in law's uncle's back yard for heaven's sake! But more than the location, the characters of that movie just make it. And one that always made me laugh was Yeah yeah. He was called that because he always started his sentences with "yeah yeah." Which is what Keith does all the time now. And I laugh. I think for our next movie night we are going to have to watch that movie. Is it appropriate for a 5 year old? I think so. I can't remember anything I would want to shield my kids from in it. Possibly the pool bit, but I am not sure. I really haven't seen it for years. But in honor of Yeah yeah Keith, I think we need to pull it out, dust it off, and have a good long laugh. Remember that big snowstorm that was predicted for last weekend? Yeah, it never came. Well, we got a smattering of snow, but nothing to write home about. Millimeters of snow, really. Despite the predictions however, Saturday was very productive and just perfect. I was getting ready to go to the gym when Jeffrey asked if I would rather go for a walk. I love going for walks with my family, and I would take being outside over being inside any day of the week. We went down to the Hollow and I loved every second of it. The kids were in all their snow gear as we were anticipating a huge storm (what happened with that Mother Nature?) which never came. They whined and complained most of the way, but I still loved it. It felt so good to be outside moving around. Add to that the bonus of having those I love most around me, and I was one happy girl! The best Jeffrey and Me photo I could get. Evidently the boy is a bit camera shy. Keith and I had planned a date for later that night. He backed out at the last minute, though because his friend came into town, so Faye and I got to go on a date. Completely different than it would have been with Keith and me, but she was in heaven. We had to run a few errands first, so we got that out of the way, and when we were done, we were a little peckish, so we got some Indian food. Because nothing says girl date like Indian food, right? Really, nothing says Amy Date like Indian food, be it boy or girl with me. I just can't get enough of that stuff! At any rate, after we got that we went to the pet store. Because Saturdays are pet adoption days, and so Faye could drool to her heart's content, and I could feel good about letting her play with the animals and not bring one home. Then it was off to fill our bellies with ice cream. Because that is what girls do. And that is what flows through our veins. Not blood, but ice cream. Which could explain why my feet are always cold regardless the layers of socks I wear or the time of year. Ice cream in the veins. We then went to the mall and she got a manicure. The people there thought she was the cutest thing they had ever seen, and well, I had to agree. And then she was a good sport helping me find the right watch. I have been looking for a particular kind of watch for years, but for some reason they went out of style. Can't figure out why. See, I wear my watches backwards. An old habit I picked up on the mission. It is a lot easier to check the time without being obvious about it. It also is easier to look at the bottom of your wrist than the weird contorting angle people do to check the top of the wrist for the time. Because of this, though, I want a watch that looks like a bracelet. I don't want the obvious chain and clasp, I just want something with a chameleon effect. So my watch can look like a bracelet. I have been looking for such a watch for 7 years. I kid you not. Target used to sell them, but tragically stopped right after Keith broke mine. Ever since then I have been hunting. Earlier in the week I received a tip that one of the stores in the mall sold such a watch, and I was determined to find it! Because Faye was so good with helping me to find it, we went to one last store before ending our date. Bath and Body Works. I was going to get her some lip gloss, but when I saw the price, I decided against it and got her a light up rubber ducky for the bathtub. Which she still carries around proudly today. All in all, I would have to say it was a successful date! Yesterday the kids and I decided we needed to get out. We decided to go to the wetlands preserve. We bundled up tightly against the cold and headed out. Much to our dismay, we learned the gate was locked even though the sign said it was open. I guess we are going to have to wait for the snow to melt before we go back. Sad story! Though it is something to look forward to come Spring! But it was all good anyway as on our way home I found a kitchen store, and finally got the love of my life to come home with me. I don't know if I ever mentioned but three years ago, before Faye was born, Jeffrey had told me if I could go natural so we didn't have to pay for an epidural, I could have a Bosch mixer. Which is the mother of all mixers, if you didn't know. I did it, but things were tight, and I never got that Bosch. She is gorgeous, and I just know we are going to be bffs. Already we made bread together. It didn't turn out well, but that wasn't her fault. The recipe wanted me to use instant yeast or fast acting yeast or whatever you call it, and I didn't have any so used the regular kind, which is what I had. Problem is, I don't think the yeast really had a lot of time to soften so the bread didn't rise like it was supposed to. But I know the problem and am going to make more bread tomorrow and very soon I will be whipping bread out like an old lady's gossip. Often and delicious! As we were driving around yesterday (going to get my Bosch because I was tired of nearly breaking my MIL's weak sauce Kitchen Aid) Keith asked me to tell him a story. A scripture story, he specified. I thought about all the stories and was trying to narrow it down when he requested the story of Noah and the Ark. I told him about it, and when I finished explaining about the promise of the rainbow I looked in my rear view mirror to see him gazing out the window with his thoughtful expression on his face. After a few moments of silence from him (Faye was singing The Wise Man and The Foolish Man to herself), Keith said "Mom, I can feel the Holy Ghost. I know it's him because my heart is hot." I clarified that it was just his heart and not his body, and he said yes. We talked about how the Holy Ghost testifies of truth and so that was how he could know what I had just told him, or what anyone ever told him was true. It was a beautiful moment and made me so happy that he is so perceptive at such a young age. My boy is so tender hearted and truly seeks after knowledge in all things. I love when he reasons things out for himself and shares what he feels with me. I am so glad that we could have that teaching moment. I love those kids, and I am so happy to be able to see their testimonies growing. And so, this blog begins to look like my old journal. I would go a week without writing in it, and then try to cram as much as I could remember in a single post. And then go a week without writing again, and cram as much into the next post. And so it goes. But really, I am proud of myself for remembering to write. Yes, Sandlot is absolutely a classic. I don't know anyone who can say "forever" without thinking "four-e-ver"
So excited for your Bosch. I considered getting one towards the end of last year. But since I'm not a bread maker, and don't think I'll ever become one, I couldn't justify the price so I got a KitchenAid instead. Sometimes when I sit down to write all desire to is simply gone from me. Not writers block, just no desire to write. You have the desire. OH MY WORD!!! that pic of faye is the cutest girl picture i've ever seen. the end.